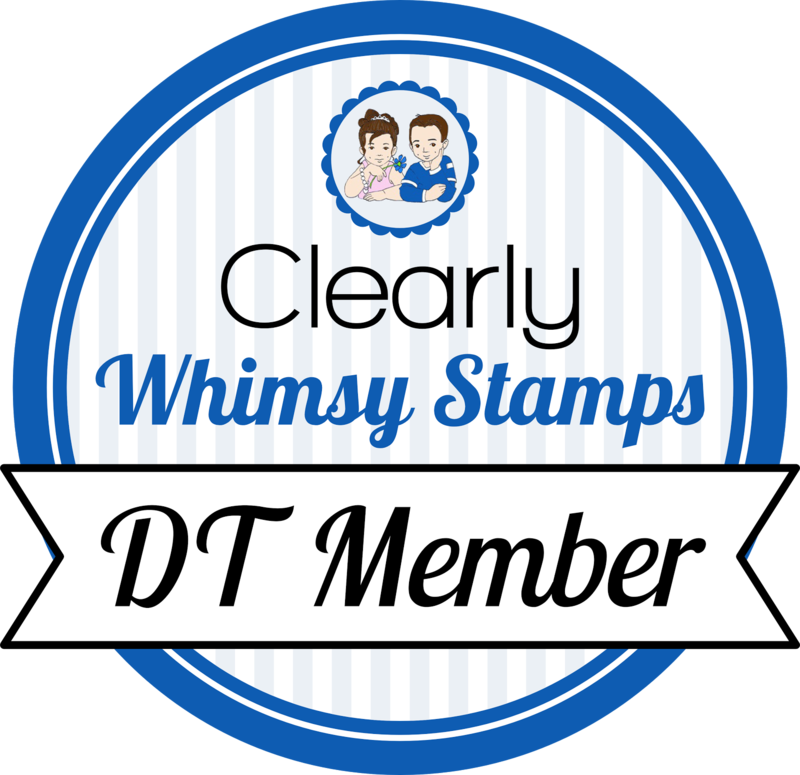 Thanks for coming back for day 5 of the Whimsy Stamps November release. All products will be available for purchase on Tuesday, November 7. 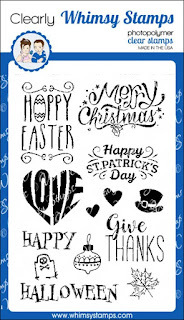 Today we are showing you sneak peeks of the November Customer Appreciation Set (CAS), Holiday Headlines. 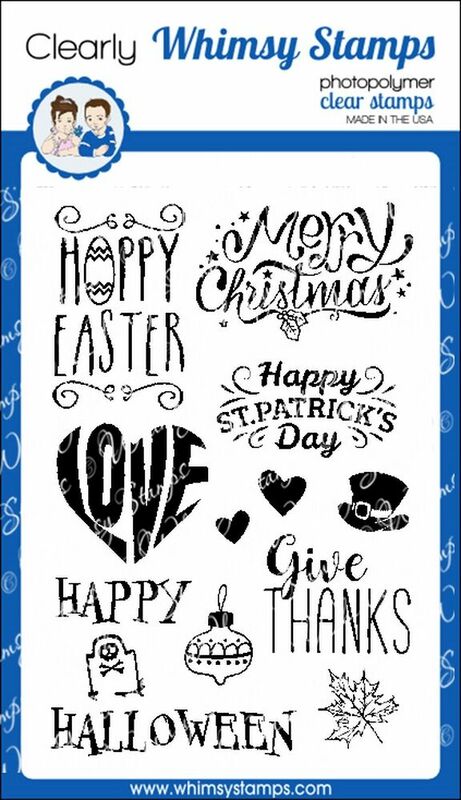 I stamped the sentiment and the coordinating leaves on watercolor paper, and colored the leaves using my Zig clean color brush markers. I adhered a strip of patterned paper to the bottom of a card base, then popped up the main panel. I added a few Christmas Cheer enamel dots at the end.